How Do We Build a Responsible and Trusting Way of Life? 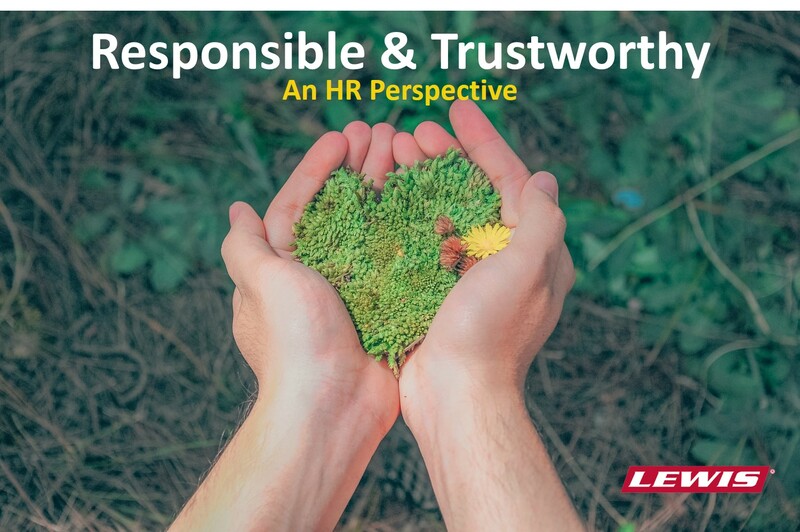 “Being Responsible is ethically maintaining a constant focus on the best interests of our employees, customers and communities where we work and live.” One of the fruits of carrying out responsibilities develops us to become trusted cohorts to one another. At an early age, we learn the vital responsibility of shaping success by taking care of our self, others, our homes, business and community. One’s life journey reflects the results of all the decisions we will ever make. After all, who would intentionally plan for failure -- and who is to judge, and by what means measure, this success? Right or wrong, we learn from our mistakes not to repeat them; better yet, a smarter strategy is to prevent them from occurring in the first place. We make better decisions through collective team-think that can navigate and yield desirable outcomes. Whether we agree or disagree on a subject or situation, it is important to be open-minded and to respond generously and kindly to all the people we work with regardless of title, authority or position without hesitation. Responsible leaders, who respond proactively with words or actions, earn our trust and peace of mind so that we know we can count on them to follow through on deliverables, lean on their wisdom and acuity to steer us through sunshine, rain or storms. When we become increasingly more improvement-minded, acting with integrity, honest enough to be transparent and surpassing our personal, social or business responsibilities, we naturally become revered leaders of excellence within all levels of our organization!